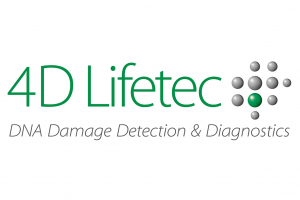 4D Lifetec is a company developing and promoting test and screening systems for molecular diagnostics including the production of related consumables. Based on the single cell gel electrophoreses assay principle 4D Lifetec has recently developed the highly innovative 4D Lifetest™, a molecular diagnostic system improving personalized cancer therapy by quantifying DNA repair mechanisms. Due to its improved technique it generates potential patient benefit by its non-invasive and time saving approach. It also offers cost savings for healthcare provider by its outstanding precision and high degree of standardization both leading to a reduction of false positive results. Due to its high-throughput capacity and its high precision, 4D Lifetest™ also offers a unique solution for DNA defect and repair based screening programs and is therefore the diagnostic method of first choice. ABIVAX leverages three technology platforms for drug discovery: an antiviral platform an immune enhancement platform a polyclonal antibody platform ABX464, its most advanced compound, is currently in Phase 2 clinical trials for providing a sustained viral remission or functional cure for patients with HIV/AIDS. It is a first-in-class oral small anti-viral molecule which blocks HIV replication through a unique mechanism of action and also has a strong anti-inflammatory effect. In addition, ABIVAX is advancing a clinical stage immune enhancer as well as multiple preclinical candidates against additional viral targets (e.g. Respiratory Syncytial Virus (RSV), Influenza and Dengue), and several of these compounds are planned to enter clinical development within the next 18 months. Addex lead drug candidate, dipraglurant (mGluR5 negative allosteric modulator or NAM) has successfully completed a Phase 2A POC in Parkinson’s disease levodopa-induced dyskinesia (PD-LID), and is being prepared to enter Phase 2B for PD-LID. In parallel, dipraglurant’s therapeutic use in dystonia and treatment esistant depression is being investigated. Addex second clinical program, ADX71149 (mGluR2 positive allosteric modulator or PAM) is being developed in collaboration with Janssen Pharmaceuticals, Inc. Addex also has several preclinical programs including: ADX71441 (GABAB receptor PAM) which has received regulatory approval to start Phase 1 and is being investigated for therapeutic use in Charcot-Marie-Tooth (type 1A) disease, alcohol use disorder and nicotine dependence; mGluR4 PAM for drug abuse and dependence, Parkinson’s disease and other neurodegenerative diseases; mGluR2 NAM for treatment resistant depression and cognitive deficits; mGluR7 NAM for psychosomatic disorders, TrkB PAM for neurodegenerative disorders; and GLP1 PAM for type 2 diabetes. Allosteric modulators are an emerging class of small molecule drugs which have the potential to be more specific and confer significant therapeutic advantages over conventional "orthosteric" small molecule or biological drugs. Addex allosteric modulator drug discovery platform targets receptors and other proteins that are recognized as essential for therapeutic intervention – the Addex pipeline was generated from this pioneering allosteric modulator drug discovery platform. ​8 million people die from sepsis each year worldwide, despite antibiotics and intensive care. 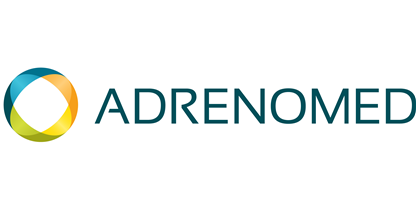 Adrenomed aims to prevent the fatal septic shock by modulating the activity of the vasoactive hormone Adrenomedullin (ADM), a key regulator of vascular integrity. Our first-in-class clinical stage drug candidate Adrecizumab is a humanized monoclonal ADM-specific antibody that improves endothelial barrier function and prevents vascular leakage. After demonstrating excellent tolerability, safety & efficacy in preclinical animal models and healthy subjects, Adrecizumab will now be tested first in a stratified clinical phase II study in early septic shock. 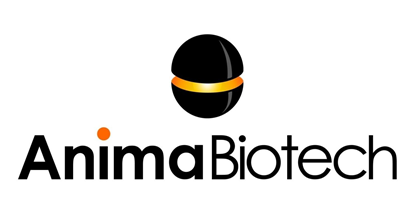 Anima Biotech is pioneering Translation Control Therapeutics, a new class of drugs that control protein translation. Our novel technology platform enables for the first time to visualize and specifically control the synthesis of target proteins. By targeting the proteins that specifically regulate the translation of mRNA, we discover molecules that either decrease or increase a given protein’s production, enabling a strategy against hard and undruggable targets. ​The platform is applicable to over 80% of known proteins and our pipeline is quickly expanding. Currently we run programs in Fibrosis (inhibiting the synthesis of Collagen type I), Viral infections (RSV – interfering with viral protein synthesis), Oncology (C-Myc translation inhibitors) and Huntington’s disease. Discovered molecules are in the validated hit to lead stage. ​Our protein synthesis monitoring (PSM) technology was originally developed over 7 years in close collaboration with the ribosome biochemistry lab at Penn university. Over the last 5 years, we have built a network of 17 scientific collaborations, resulting in 13 peer reviewed publications. Our platform has 5 granted patents and 2 patents pending. We expand to additional areas on our own and through partnering with Pharma in their drug discovery programs. We drive our pipeline forward to the clinic while partnering in additional areas. Apogenix develops innovative immuno-oncology therapeutics for the treatment of cancer and other malignant diseases. The company has built a promising pipeline of drug candidates that target different TNFSF-dependent signaling pathways, thereby restoring the anti-tumor immune response. Since its inception in fall 2005, Apogenix has raised more than 90 million euros in financing rounds, public grants, as well as upfront and milestone payments from licensing agreements. The company is based in Heidelberg, Germany. Apogenix’ lead drug candidate APG101 is a fully human fusion protein that consists of the extracellular domain of the CD95 receptor and the Fc domain of an IgG antibody. The substance inhibits the CD95 ligand which plays an important role in the progression of solid tumors. Depending on the target cell – immune cell or tumor cell – the interaction between the CD95 ligand and the CD95 receptor induces either apoptotic cell death or invasive growth of cells. With this unique dual mode of action, APG101 is being developed for the treatment of solid tumors and malignant hematological diseases. So far, the substance has been successfully evaluated in clinical trials for the treatment of glioblastoma and myelodysplastic syndromes (MDS). Better than antibodies – Apogenix’ HERA-technology: Apogenix’ proprietary HERA technology platform enables the construction of novel hexavalent TNFSF receptor agonists for the treatment of cancer. Preclinical experiments have shown that these agonists effectively stimulate the immune system, marking them as promising candidates for the treatment of solid tumors. Asceneuron is an emerging biotech company specializing in the discovery and development of groundbreaking small molecule therapeutics for neurodegenerative diseases. We strive to discover and develop truly effective therapeutics with the potential to radically improve the quality of life of patients with neurodegenerative diseases. To reach our ambitious goals, our team of experienced drug developers and scientists is working to the highest standards. Our decisions are driven by scientific excellence, patient-focus and integrity towards our stakeholders, with one ultimate goal: to deliver truly effective therapeutics for neurodegenerative diseases and transform the lives of patients suffering from orphan tauopathies, Alzheimer's and Parkinson's diseases. Our most advanced program has a particular focus on the orphan tauopathy Progressive Supranuclear Palsy (PSP). ​Our lead product, an O-GlcNAcase inhibitor which has been demonstrated to modulate tau pathology in preclinical studies, has entered human clinical testing in healthy volunteers. The O-GlcNAcase inhibitor is being developed for the orphan tauopathy Progressive Supranuclear Palsy (PSP). ATRIVA Therapeutics GmbH, an emerging antiviral biotech company, based in Tübingen, Germany, exploits the benefits of MEK-Inhibitors as powerful and broadly applicable antiviral drugs. MEK-Inhibitors, originally developed as cancer therapy, are blocking the intracellular kinase MEK, part of the Raf/MEK/ERK signaling pathway, which many RNA viruses need to replicate. Eight experienced entrepreneurs and scientists founded ATRIVA in 2015 as a spin-off from the Universities Münster, Giessen and Tübingen. The lead project uses the scientific findings of three founders to develop a new class of treatment for severe influenza. ATRIVA already made substantial progress with the technology and the lead project as well as its project pipeline and has broadened its scope to other severe viral diseases including MERS, SARS (Coronavirus), Hantavirus (Bunyaviridae). Commonly, these viruses cause severe respiratory disease, often with fatal outcome, and no efficacious cure is yet available. MEK-Inhibitors are active against this variety of RNA viruses, as shown in several preclinical studies. ATRIVA does not expect any resistance development, as the virus can- not reverse the blockade of the cellular signaling pathway. Relevant side effects within the intended antiviral use are unlikely, as 1) treatment dura- tion will not exceed 14 days, and 2) drug concentrations inhibiting viral replication are expected to be lower than those for anti-proliferative effects in tumor therapy, as shown in ATRIVA‘s extensive preclinical studies. In essence, ATRIVA provides the technology for a completely novel anti-pathogen approach representing a paradigm change in therapy of severe respiratory infections. 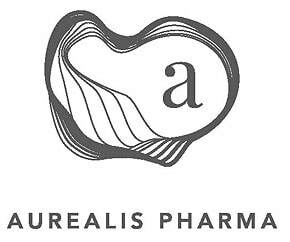 In Aurealis Pharma we are dedicated to advancing science and health; develop an effective, safe and economical treatment method that greatly improves the quality of life for chronic inflammation and cancer sufferers. We believe in creating cross-disciplinary biopharmaceutical solutions that are backed by proven science and extensive research. Thanks to advancements in modern biotechnology and our research and development in cell-based therapies we have developed a proprietary technology, which utilizes genetically modulated probiotics that deliver a variety of therapeutic proteins to diseased tissue, thus modulating local immune system and enabling healing. A life-changing breakthrough that offers severe and chronic inflammation and cancer sufferers a much-improved, safer, and more cost-effective treatment option. 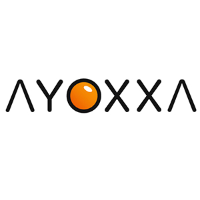 AYOXXA Biosystems GmbH, based in Cologne (Germany), is an international biotech company focused on the development of its proprietary beads-on-a-chip technology for advanced protein analysis. LUNARIS™. AYOXXA’s innovative multiplex protein analysis platform is a fully integrated system designed for the parallel analysis of multiple biomarkers in picogram amounts of biological samples, allowing scientists to gain a maximum of high quality and reproducible insights. LUNARIS™ is fully scalable, with integrated, image-based quality control and transparent data processing and management, enabling translational proteomics by addressing all the needs from basic to clinical research and development. AYOXXA is commercializing and expanding a portfolio of detection kits covering ophthalmology, model-to-man and immuno-oncology applications. BAYOONET Inc. is a software house and, for the last 16 years, the producer of Qware® Riskmanager, the worldwide market leader in software solutions for risk management processes in accordance with ISO 14971, the creation of application of usability files (EN 62366) and of conformance reports (IEC 60601-1), as well as the creation of certificates of compliance with essential requirements (MDD 93/42/EEC and IVDD 98/79/EC) and the implementation of requirements engineering. Since 1994, we have administrated the interactive medical reference repository MEDiLEX – the digital loose-leaf binder for medicine and pharmacology. As editors, our in-house lawyers and consultants examine the current legal situation, note changes, and support our development team in keeping up with the latest status of regulations. As one of the leading software development houses, BAYOONET is responsible for the successful development, installation, and support of individual software projects. Based on years of experience, we know the specific needs and requirements for flexibility and optimization of IT processes in detail. Through this added value, our customers gain a sustainable competitive advantage and we are proud that this is attested by our customers again and again. 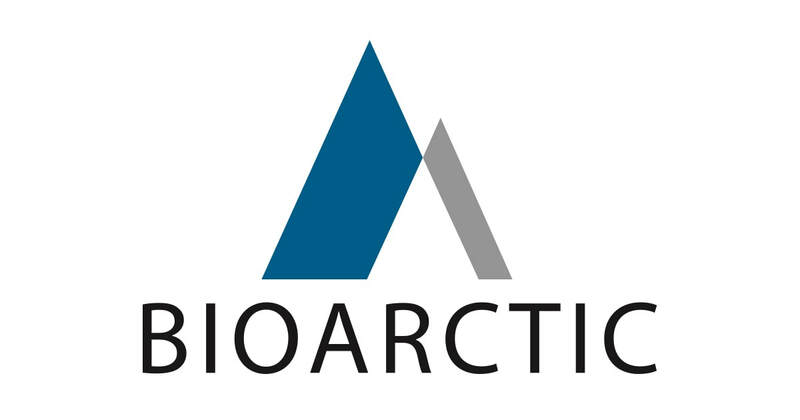 ​BioArctic’s vision is to become a world-leading Swedish biopharma company in research, development and sales of innovative and effective biological drugs for patients with neurodegenerative diseases, such as Alzheimer’s disease and Parkinson’s disease, and innovative and effective treatment for Complete Spinal Cord Injury. In order to accomplish our vision we focus on our core business and encourage a strong culture of curiosity and innovation among our employees and partners. We also strive to be an attractive and leading partner in our research areas for research groups at universities, pharma companies and in health care. BioArctic’s mission is to improve quality of life for patients with diseases in the Central Nervous System. Our mission underpins everything we do. It reminds us why we exist as a company and helps us deliver on our objectives. It also sets the context for our employees’ activities and the roles of our teams, partners and other collaborators. ​BioLingus is a Swiss biotech company spearheading the development of oral (sublingual) and mucosal delivery of peptides and proteins for chronic diseases and immune-therapies. It is a cutting-edge and mature solution for oral formulations, not only for peptides, but also small molecules, novel protein scaffolds, nucleotides, domain antibodies, vaccines, immunotherapies etc... To further exploit the potential of the BioLingus Technology, we are interested in exploring partnerships with other pharmaceutical companies. Aside from pharmaceutical companies, we are also interested in working with animal health companies" (with adjusted formulations) and food companies working on innovative food supplements. Braster was founded by a group of medical doctors and scientists, developed a state-of-the-art technology called a “contact thermography” which has been clinically proven effective in early breast cancer detection. Braster is the only company that has developed a method of manufacturing liquid crystal matrices used for breast cancer diagnostics. Thanks to this Braster created medical device that enables women to perform regular breast examinations at home and detect symptoms of breast cancer. In record time of 18-months company designed and manufactured its device. In October 2016 Braster launched on the Polish market (B2C) its innovative medical device. All business values are geared towards the future and long-term development strategy in the field of telemedicine. In the 2017 the company announced the strategy of international expansion. Braster System is an innovative mHelath soultion for in-home breast examination. It is dedicated to all women regardless of age and breast tissue type. Braster System consists of a high-tech medical device class IIa, mobile application, artificial intelligence algorithms detecting potential abnormalities in breasts and a telemedical centre with high class medical experts supervising the process. High efficacy of the system was proven in observational trials. The examination is painless, radiation free and safe for women. 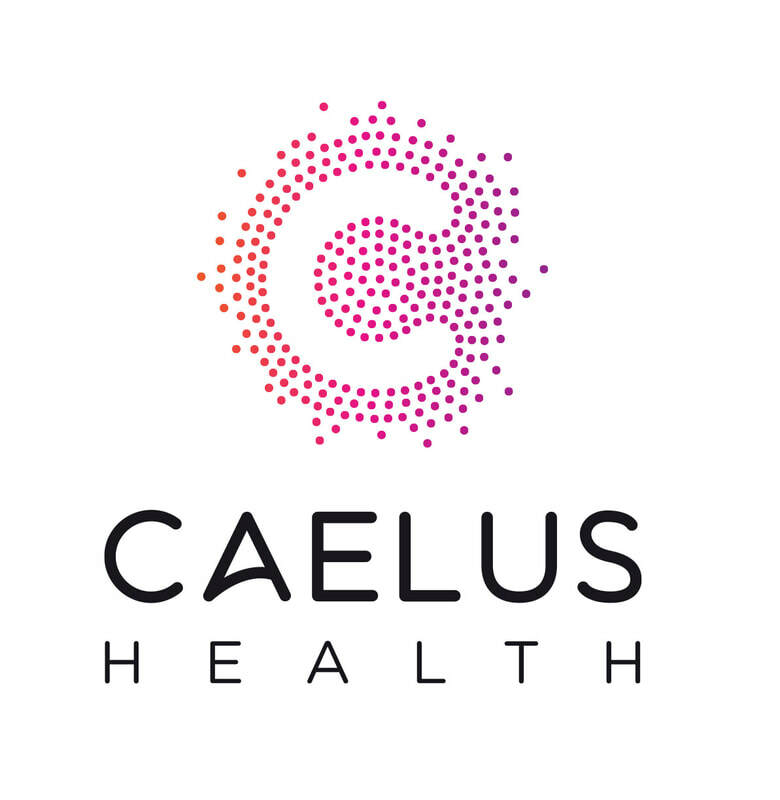 Caelus Health is an Amsterdam-based biotech company developing an entirely new class of Microbiome Therapeutics for the reduction of insulin resistance and prevention of Type 2 Diabetes (T2DM) in people with metabolic syndrome. The company is dedicated to the commercialisation of functional food and pharmabiotic products for the prevention and early treatment of cardio metabolic diseases – based on the strong correlation between the intestinal microbiome and health. Caelus Health builds on the experience of leading scientists in this field and is one of the very few companies that can effectively capture the value of Microbiome Therapeutics through their solid preclinical and early-stage clinical development approaches. ​Cantargia specialises in antibody-based cancer treatment. CAN04, the company's patented antibody treatment, has a dual mechanism of action. CAN04 fights cancer by activating the immune system and blocking signals that lead to tumour growth. Treatment with CAN04 has the potential to become an important part of modern immuno-oncology. Cantargia is developing antibody-based treatments specifically targeting the molecule IL1RAP with a potential to treat a number of different cancers. The lead candidate, CAN04, is initially focused on non-small cell lung cancer (NSCLC) and pancreatic cancer and clinical trials started in 2017. The aim is to develop a new drug with the potential to become an important part of future cancer treatment. CAN04 is designed to block the cancer cell's signalling via the interleukin-1 system. Thereby the tumour inflammation, which facilitates the growth of the tumour, can be counteracted. CAN04 is also designed to stimulate the body's immune system to eliminate cancer cells directly. Cantargia intends to develop and patent a new antibody against IL1RAP in order to treat autoimmune and inflammatory diseases, with the aim to have a product candidate selected by late 2018 or early 2019. Cellerys' mission is to induce antigen-specific immune tolerance in multiple sclerosis through peptide-coupled cell therapy. The company's flagship project "Establish Tolerance in MS" ("ETIMS") is currently in a Phase Ib clinical trial at the University of Zurich. ETIMS aims to abrogate the myelin-specific autoimmune response at the root of MS while avoiding the sometimes serious side effects of currently approved immunomodulatory treatments. The patient's blood cells are coupled ex vivo with a cocktail of myelin peptides, which represent the most important target antigens in MS. After being given back to the patient, the peptide-coupled cells undergo natural cell death in the body and are presented in a tolerogenic manner in liver and spleen, thereby "teaching" the immune system to refrain from harmful responses to brain antigens. A previous Phase Ib clinical trial conducted by Roland Martin and Andreas Lutterotti demonstrated the safety/tolerability of the approach and provided early indication of proof of mechanism (reduction/elimination of myelin-specific T cells). A new Phase Ib trial employing an improved and protected methodology for a semiautomatic GMP process is currently ongoing at the University of Zurich. ​Cellestia Biotech is a private biopharmaceutical company with strategic focus on anti-cancer drugs modulating the NOTCH signaling pathway. Our anti-cancer CB-103 is a novel, first-in-class, oral pan-NOTCH inhibitor for treatment of NOTCH dependent leukemia, lymphoma and solid tumors. 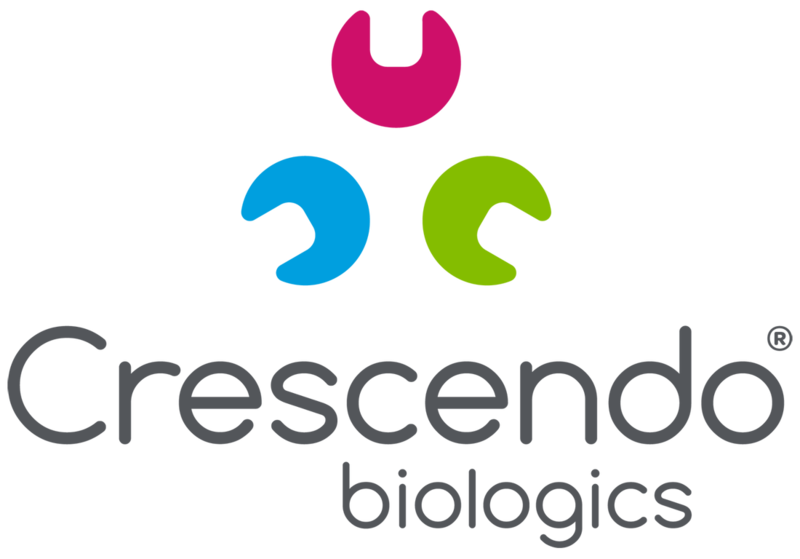 Crescendo Biologics is a biopharmaceutical company developing potent, truly differentiated multifunctional Humabody® therapeutics with novel modes-of-action, superior biodistribution and larger therapeutic windows compared to conventional IgG-approaches. The Company’s ability to develop mono- and multi-functional Humabody® therapeutics is based on its unique, patent protected, transgenic mouse platform generating 100% human VH domain building blocks (Humabody® VH) with superior biophysical properties and developability. The Crescendo team can rapidly explore a vast range of 3D format space to identify optimal therapeutic configurations. This fully modular plug & play approach lacks the constraints of traditional mAbs enabling the assembly and design of small multifunctional biologics capable of target engagement that is unachievable using regular mAbs. Humabody therapeutics can be applied across a broad range of therapeutic indications. Crescendo is pursuing novel Humabody®-based product opportunities, through in-house development and strategic collaborations. ​Dermadis is a Biotech company which discovers and develops drugs using natural human proteins and peptides as a starting point, to create more selective or reactive regulators of biological pathways involved in dermatology disorders such as Netherton Syndrome, psoriasis and acute atopic dermatitis. Dermadis wants to become a lead player in the development of treatments for important dermatology disorders based on kallikrein targetting. The management of Emerald Health Pharmaceuticals (EHP) believes that cannabinoid analogues have the potential to be developed into safe, effective prescription pharmaceutical drugs. The potential ability of cannabis to treat a broad range of health problems and diseases mirrors the wide distribution of cannabinoid receptors present throughout our bodies. This system is called the endocannabinoid system and is responsible for creating homeostasis (i.e., “balance”) in the body and for reducing inflammation, which is the primary cause of many diseases afflicting millions of people worldwide. EHP leverages the extensive life-science experience of its founders and management, as well as the expertise of its partners, to produce patented new chemical entities (NCEs) derived from cannabis, and to develop the most promising of these NCEs into pharmaceutical drug candidates. The Company currently has two NCEs in preclinical development. One of these NCEs (EHP-101) is derived from cannabidiol (CBD) and is being developed for the treatment of multiple sclerosis (MS) and scleroderma, also known as systemic sclerosis (SSc). The second NCE (EHP-102) is derived from cannabigerol (CBG), and is being developed for the treatment of Huntington’s Disease (HD) and Parkinson’s Disease (PD). 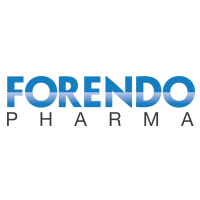 Forendo Pharma is a drug development company based in Turku, Finland. Its core competence resides in organ specific hormone mechanisms, giving new opportunities to unmet needs in women ́s and men ́s health. The company’s key assets are fispemifene, a program in clinical Phase II development, aimed at treatment of male urological conditions, and HSD17B1 enzyme inhibitors, aimed at treatment of endometriosis and based on research at the University of Turku. The founding team includes leading academic professionals in endocrinology and pioneers within Finnish drug development. GamaMabs Pharma is a clinical-stage immuno-oncology company developing optimized therapeutic antibodies for the treatment of cancer. GamaMabs’ lead project is the monoclonal antibody (mAb) GM102 which targets Anti-Müllerian Human Receptor II (AMHRII), an unaddressed specific target in gynecological cancers. The company develops low-fucose EMABling® antibodies with increased tumor cell killing properties through the activation of immune system cells. IDP Pharma is a drug discovery company that develops first-in-class medicines (New Chemical Entities) directed to a novel class of therapeutic targets, intrinsically disordered proteins (IDPs). We are currently focused on exploiting new mechanisms of action to treat cancer diseases. Multiple myeloma is one of our priorities. Our efforts are directed towards promoting a real shift in cancer therapies to improve the lives of patients. To this end, we have built an extraordinary committed team of experts in the field, supported by a professional advisory board, including IDPs and diseases experts, and business professionals. IGEM Therapeutics is a UK Immuno-Oncology company developing novel IgE antibodies to treat cancer. IgE has evolved to kill tissue-dwelling multicellular parasites endowing it with several key features that make it ideal for the treatment of solid tumours which also mostly reside in tissue. The epsilon constant region of IgE binds very tightly to its cognate receptor (FcεRI) on the surface of immune effector cells including macrophages, monocytes, basophils and eosinophils. This interaction is up to 10,000 fold greater than the gamma chain of IgG has for its equivalent receptor and this results in the majority of IgE molecules being permanently attached to the surface of immune effector cells. The latter are therefore primed and ready to destroy cells expressing the antigen recognised by the IgE. As a result, IgE is able to permeate tissues more effectively than IgG and stimulate significantly greater levels of both ADCP (antibody-dependent cell-mediated phagocytosis) and ADCC (antibody-dependent cell-mediated cytotoxicity), the two main mechanisms by which immune effector cells can kill tumour cells. IgE also has a significantly longer tissue half life than IgG (2 weeks versus 2 – 3 days) which also suits it for a role in the destruction of solid tumours. The company’s lead programme targets the folate receptor alpha (FR alpha) and an anti-FR alpha IgE antibody is currently in a phase 1/2a trial to treat ovarian cancer. This is the world’s first IgE therapeutic to enter the clinic. IGEM is also developing a novel antibody platform technology based on protein and glyco-engineering of the epsilon constant region. Imcyse is pioneering the development of a new class of active, specific immunotherapeutics: ImotopesTM. Imcyse’s new technology platform is based on the discovery of modified synthetic peptides to block the immune processes causing immune-mediated diseases. Imcyse’s ImotopesTM offer the possibility to cure severe chronic diseases for which there is no satisfactory therapeutic alternative. The technology can also prevent the immunogenic responses that weaken the efficiency of chronic therapies. Our vision is to become a major player in active specific immunotherapy for the curative treatment of autoimmune and allergic diseases. 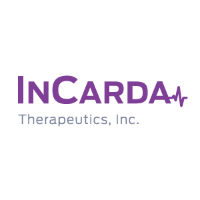 InCarda Therapeutics, Inc. is a biopharmaceutical company pioneering a novel approach of treating cardiovascular conditions and diseases by the inhalation route. The advantage of inhalation is that it delivers “first pass” to cardiac tissue, presenting a bolus of a drug directly to affected regions of the heart. This permits rapid-onset, lower off-target tissue exposure of the drug, lower continued/prolonged exposure to cardiac tissue and more importantly can be patient administered. The lead product under development is an inhaled therapy to treat paroxysmal atrial fibrillation (PAF), a widespread atrial arrhythmia. InCarda employs a de-risked approach by using approved drugs with a long history of efficacy and safety in a new dosing paradigm. InSphero provides superior biological relevance to in vitro testing with easy-to-use solutions for production, culture and assessment of more organotypic 3D cell culture models. Our patented 3D cell culture platforms and methods enable large-scale, reproducible production of a broad range of assay-ready 3D InSight™ Microtissues derived from liver, pancreas, and tumor tissues. These models help to identify promising drugs and toxic liabilities with greater predictivity at early development stages, enabling better pre-clinical decision making, saving development cost, and shortening time to market. Microtissues are available directly or through a menu of 3D InSight™ Standard Services, supported by a comprehensive panel of 3D-optimized culture media, assay protocols, and imaging solutions. InSphero’s technologies drive significant findings in peer-reviewed journals, through collaborative projects such as EU Body on a Chip and HTS-DILI, and validation in the world’s largest government institutions and pharmaceutical, chemical and cosmetics companies. This 3D know-how is being applied in the diagnostics field to aid development of personalized chemotherapeutic strategies for the treatment of cancer. 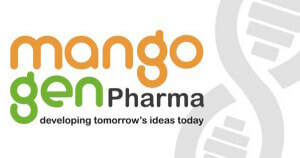 MangoGen is a biotech company with a mission to develop and market novel approaches to accelerate wound healing. Our lead product is a gene-delivering cardiac stent, and a topical cream to accelerate wound healing. MangoGen was co-founded in 2014 by Professor Satya Prakash, Dr Paul Plested, Dr. Dominique Shum-Tim and Dr Arghya Paul. The future of the stent market is being driven towards inexpensive devices that have long-term efficacy, a lower requirement for prescribed anti-coagulants and a reduced need for future invasive cardiac surgery. MangoGen’s patented technology utilizes a novel approach of using baculovirus encapsulated in a biodegradable coating that is applied to a cardiac stent before being placed in situ. 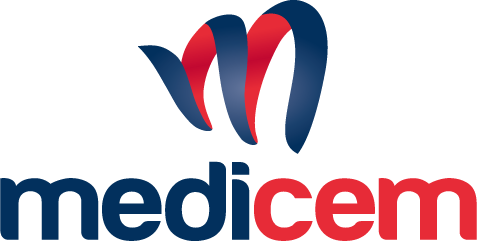 MEDICEM Institute, the R&D centre of MEDICEM Group, focuses on developing proprietary bioanalogic hydrogel technologies and porcine xenografts and applying them to ophthalmic surgery, tissue regeneration and gynaecology. MEDICEM Institute’s laboratories are equipped with state-of-the-art instrumentation for conducting research into polymer science, visual and physiological optics, and biomaterial biocompatibility. Continuing an investigative tradition dating back to Otto Wichterle, our current scientific team includes researchers with backgrounds in biophysics, chemistry, biochemistry and electrical engineering and experience from both academic and industrial institutions. ​Metys Pharmaceuticals is developing dimiracetam for the prevention of chemotherapy-induced painful peripheral neuropathy. In the US alone, in a single year, more than 400'000 patients suffer from the neuropathy caused by their life-saving cancer treatment. No drug has been approved to prevent or treat this condition. Dimiracetam is an orally active, small molecule with more than 200 patients' safety and tolerability data; dimiracetam is highly effective in preventing and treating chemotherapy-induced neuropathy in rodents. Metys Pharmaceuticals is preparing the first dedicated efficacy study of dimiracetam in this indication. MOLOGEN AG is a biopharmaceutical company and considered a pioneer in the field of immunotherapy on account of its unique active agents and technologies. Alongside a focus on immuno-oncology, MOLOGEN develops immunotherapies for the treatment of infectious diseases. The immunotherapy lefitolimod (MGN1703) is the company’s lead product and is regarded as the best-in-class TLR9 agonist. Treatment with lefitolimod triggers a broad and strong activation of the immune system. On account of this action mechanism, lefitolimod is an immune surveillance reactivator (ISR) and could potentially be used in various indications. The ISR lefitolimod is currently being developed within the framework of a pivotal study for first line maintenance therapy for colorectal cancer. Key data of the phase II IMPULSE study in small cell lung cancer have been announced in April 2017. Detailed analyses of IMPULSE data and data from the extension phase of the TEACH study in HIV, published in August, are currently being conducted. In addition, lefitolimod is currently being investigated in a phase I combination study with the checkpoint inhibitor ipilimumab (Yervoy®) in various cancer indications. Along with various checkpoint inhibitors, lefitolimod, which is being investigated as part of a phase III clinical trial currently, is one of the few near-to-market product candidates in the field of immuno-oncology. ​NetScientific is a transatlantic healthcare IP commercialisation group focused on sourcing, funding and commercialising technologies that significantly improve the health and well-being of people with chronic diseases. NetScientific invests in early stage healthcare technology companies sourced from strategic partnerships and relationships in the US and Europe, building businesses to address unmet medical needs related to chronic disease through digital health, diagnostics and therapeutics. NetScientific identifies late-stage translational research projects developing cutting-edge technologies in its disease focus areas. NetScientific then builds on accredited research, the previous stages of which have already been funded by academic institutions, governments and science foundations, to take the projects to the point of commercialisation. NetScientific is an active investor, providing portfolio Companies with extensive management support and technical guidance as well as access to legal, IP and commercial expertise. As companies mature through key milestones the Group recruits experienced industry leading CEOs to drive the next phase of growth and attracts additional external capital to secure favourable exits. Opsona Therapeutics is one of Europe's most innovative and dynamic drug development companies. We are at the forefront of drug development in immunology research, with particular focus on the innate immunity pathways. Since its founding in 2004, Opsona has validated and developed a series of exciting new drug candidates and strategies which modulate the human innate immune system. We are located in Dublin, Ireland. Our aim is to deliver tomorrow's treatments from today's cutting edge research. We are developing a unique and advanced range of drugs to treat and prevent autoimmune and inflammatory diseases as well as technology for cancers and infectious diseases. We have developed OPN-305, an antibody to inhibit TLR2-mediated inflammation, which is now at the clinical testing phase. Origenis is a leader in small molecule drug discovery with over 15 years of experience in the field. Origenis is a privately owned company based in Martinsried, Germany. Origenis runs its own patented Drug Discovery platform MOREsystem®. The unique platform combines state-of-the-art drug design, patent analysis, chemical synthesis and biological characterization performed in an integrated manner on 20.000 square feet of integrated lab space. Origenis runs research alliances as well as active in-house programs. Origenis is currently focussing on anti-inflammatory and CNS drugs. Origenis is offering a variety of early out-licensing opportunities. Oryzon is a clinical stage biopharmaceutical company and the European leader in the development of epigenetics-based therapeutics. With two compounds in clinical trials, ORY-1001, a highly potent LSD1 inhibitor with exquisite selectivity that has been granted orphan-drug status by EMA, in Phase I/IIA in oncology, and ORY-2001, a dual LSD1/MAO-B inhibitor in Phase I for the treatment of Alzheimer’s disease and other neurodegenerative diseases, as well as another compound in preclinical development, ORY-3001, a selective LSD1 inhibitor for the treatment of non-oncological diseases, and additional programs in other cancer indications, the company has a broad and growing portfolio. 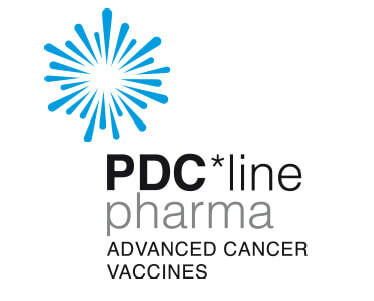 PDC*line Pharma is a French-Belgium clinical-stage biotech company that develops a new class of active immunotherapies for cancer based on an allogeneic cell line of Plasmacytoid Dendritic cells (PDC*line) loaded with cancer antigens. PDC*mel, our first drug candidate is currently in phase 1 clinical trials for melanoma. PDC*lung is in preclinical development for lung cancer. Our approach can be applied to virtually any type of cancer and any patient population, and combined with differents cancer treatments. Founded on the September 18th, 2017 Priavoid GmbH is headquartered in Jülich, near Düsseldorf, Germany. 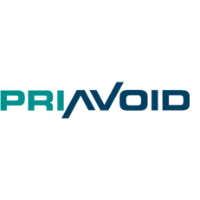 Priavoid is a biopharmaceutical company focused on the development of novel therapies for patients with diseases of the Central Nervous System (CNS). We develop novel therapies for the treatment of neurological diseases based on all-D-peptides. The most advanced drug in our pipeline is PRI-002, a Phase I clinical trial candidate for the treatment of Alzheimer’s disease. The treatment strategy of PRI-002 differs from conventional approaches in that the so-called „toxic oligomers“ – that is the probable cause of the neurodegenerative disease – are eliminated in the presence of the drug candidate. The oral administration of PRI-002 leads to improved cognitive behavior in three different transgenic mouse models. Protein Alternatives (ProAlt) is an early stage Spanish biotechnology company dedicated to the development of diagnostic and therapeutic products for the early recognition of colorectal cancer and the treatment of colon and melanoma metastatic tumors, respectively. The company developed ColoDetect®, a biomarker-based assays for the diagnosis of early stage colorectal cancer based on the detection of specific autoantibodies against tumor associated antigens (TAAs; also known as neoantigens) in blood samples. ProAlt aims to validate ColoDetect® in 2018 to obtain CE marking approval (IVD). For the treatment of colorectal and melanoma metastatic tumors the company has developed PA-0661, a cadherin 17 (CDH17) specific monoclonal antibody. By targeting the conserved CDH17-RGD domain, PA-0661 acts through a novel mode of action inhibiting integrin beta 1 activation, mediated by CDH17, thus affecting cell adhesion, proliferation and migration. In vivo proof of concept studies in murine models of metastatic disease showed significant improvement in survival rates of treated animals. The company is seeking financing and partnerships to complete during the next three years the marketing of its colorectal cancer diagnostic test (ColoDetect®) and preclinical development of the therapeutic monoclonal antibody Anti-CDH17_RGD (PA-0661). ResoTher Pharma ApS is a biotechnology company focussed on developing peptide therapeutics targeting cells of the immune system. Saniona is a research and development company focused on drugs for diseases of the central nervous system, autoimmune diseases, metabolic diseases and treatment of pain. The company has a significant portfolio of potential drug candidates at preclinical and clinical stage. The research is focused on ion channels, which makes up a unique protein class that enables and controls the passage of charged ions across cell membranes. Saniona has ongoing collaboration agreements with Boehringer Ingelheim GmbH, Proximagen Ltd., Productos Medix, S.A and Cadent Therapeutics. Saniona is based in Copenhagen, Denmark, where it has a research center of high international standard. Saniona is listed at Nasdaq Stockholm Small Cap and has about 5,100 shareholders. The company's share is traded under the ticker SANION. Signia Therapeutics is a spin-off of Université Claude Bernard Lyon1, that has and will continue to develop a proprietary platform to identify new products for the respiratory tract virus market where new approaches are greatly needed. Signia Therapeutics benefits from well established academic and industrial partnerships of VirPath laboratory, which contribute to significantly de-risking the path to Research and Development, innovation and licensing revenues. Signia Therapeutics proposes an innovative and versatile platform for antiviral drug discovery and repurposing based on globally targeting the host cell instead of specific viral molecular determinants. This novel proprietary development strategy has already a proven track record and is based on a solid set of proofs of concept. The Company’s strategy is well adapted to the pathogenesis of respiratory acute infections and provides a novel approach for the identification of broad-spectrum effective antivirals. The innovative and proprietary platform will offer the minimization of drug resistance, with significant regulatory and financial benefits compared to the time-consuming and costly process of classical de novo molecule development. Signia Therapeutics is well positioned with a clinical and preclinical pipeline of antivirals of interest to large and specialty pharma partners and targeted markets. Signia already has a Phase 2b trial fully funded for a product identified through its proprietary platform. Proofs-of-concept were established, several FDA-approved drugs were validated for new antiviral indication and one clinical trial (FLUNEXT) will start in December 2018 for the evaluation of one very promising antiviral candidate in 300 Flu patients, with final results expected in 2020. This clinical trial is financed by the French Health Ministry. Ongoing programs are currently conducted by Signia Therapeutics and dedicated to the identification and validation of broad-spectrum antiviral compounds against Flu, RSV, hMPV and human Coronaviruses such as MERs-CoV. Three patents covering drugs for the treatment of severe influenza and MERS-CoV are under licensing to Signia Therapeutics. Our vision is to synthesize and capitalize on current science and existing molecules to serve Autism patients who live TODAY while financing research that will benefit future patients. 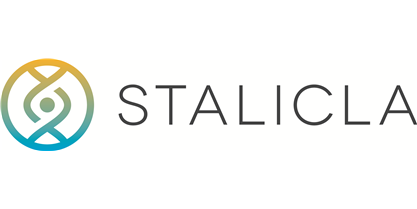 STALICLA has identified and defined a specific therapeutic package: STP1. STP1 encompasses rescued agents with impeccable human toxicology and pharmacokinetics and a companion diagnostic and monitoring assay. In early clinical settings, STP1 has already shown disease modifying effects in an important subset of pediatric and adult patients with ASD. Crossing Big Data with clinical indicators to offer therapeutic solutions to patients with idiopathic Autism one subtype after the other. ​Step Pharma is a spin-off of Imagine Institute stemming from Pr. Alain Fischer’s research on genetic immunodeficiencies. Step Pharma is a joint venture between Imagine, a research and innovative healthcare institute, Sygnature Discovery, a leading provider of integrated drug discovery resource and expertise, and Kurma Partners, a major player in the funding of healthcare and biotechnology in Europe. Upstream Medical Technologies Ltd is a medical diagnostics company specialising in cardiovascular disease tests. The patented technology is based on specialist protein peptides developed by an internationally recognised team based in the Christchurch Heart Institute. Upstream's pipeline of tests enable earlier diagnosis for improved patient recovery. ​VAXIMM is a privately held, clinical stage, Swiss/German biotech company developing oral T-cell immunotherapies for patients suffering from cancer. VAXIMM’s technology is based on first-in-class oral T-cell activators using modified attenuated bacteria that can be readily adapted to target a wide range of cancer-related antigens. The Company’s lead product candidate, oral VXM01, currently in clinical trials, activates killer T-cells targeting tumor vasculature and certain immune-suppressive cells and causes increased inflammation in solid tumors. VAXIMM completed a Phase I/II trial of VXM01 in advanced pancreatic cancer. Clinical trials are completed or ongoing in metastatic colorectal cancer and in recurrent glioblastoma (brain cancer). The Company has several additional product candidates at various stages of preclinical development. These candidates can be developed as stand-alone therapies or in combination with other immunotherapies, including VXM01. Investors in our company include: BB Biotech Ventures, Merck Serono Ventures, Sunstone Capital and BioMed Partners. VAXIMM AG is headquartered in Basel, Switzerland with a wholly owned subsidiary, VAXIMM GmbH (Mannheim, Germany), from where the Company’s development activities are orchestrated, and a laboratory in Regensburg, Germany.